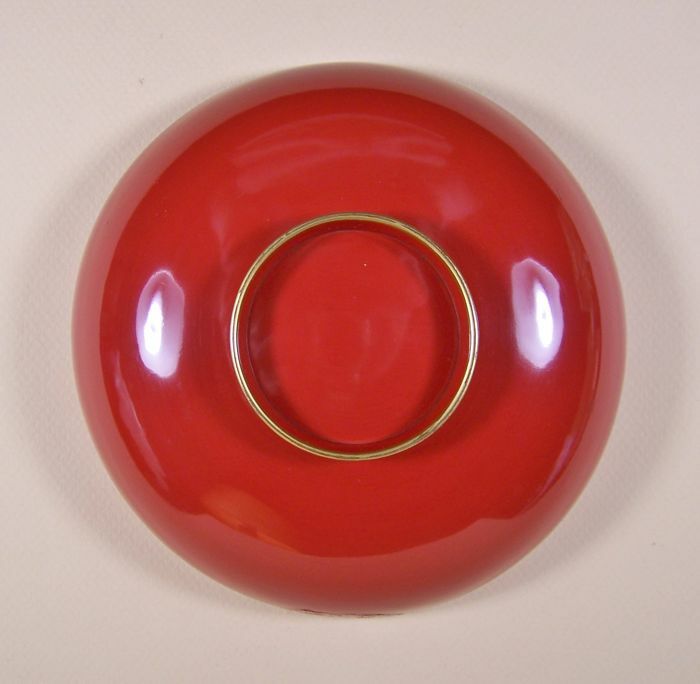 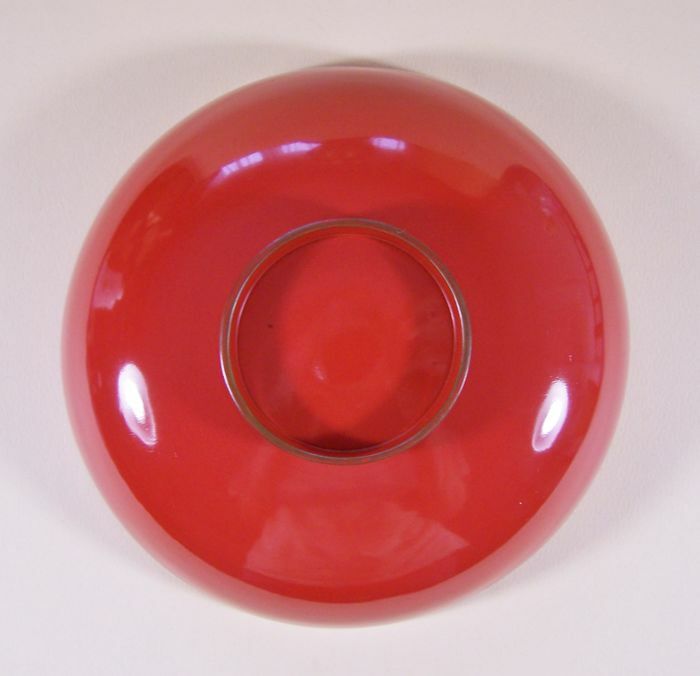 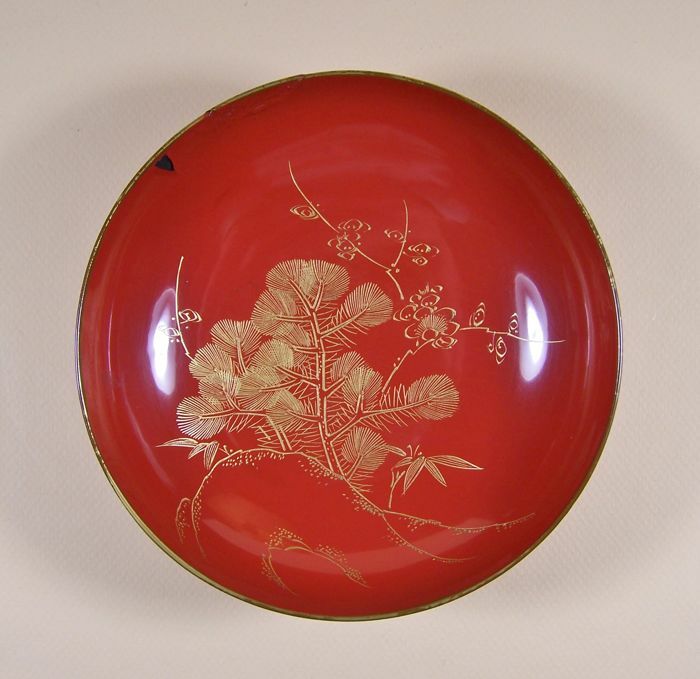 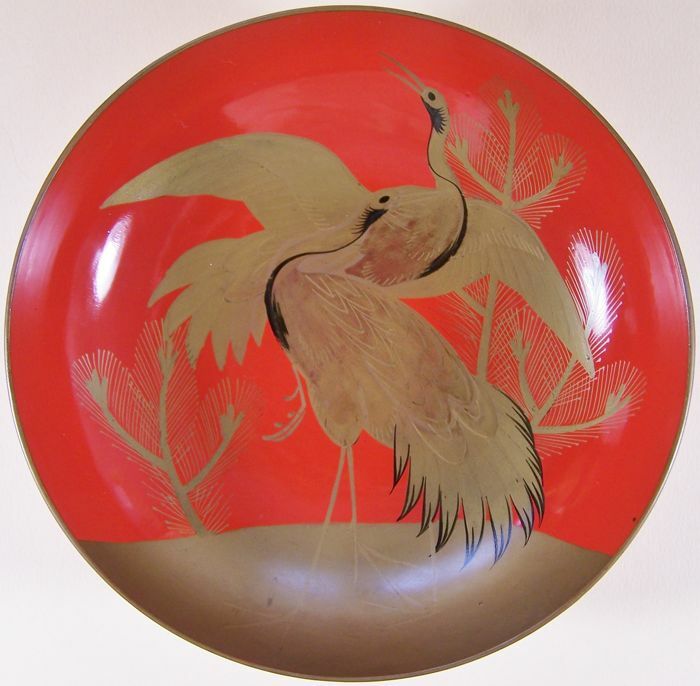 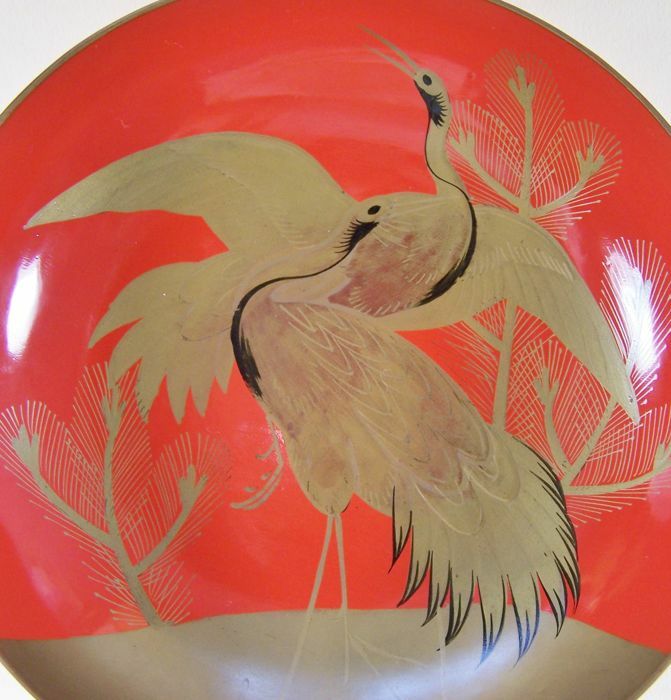 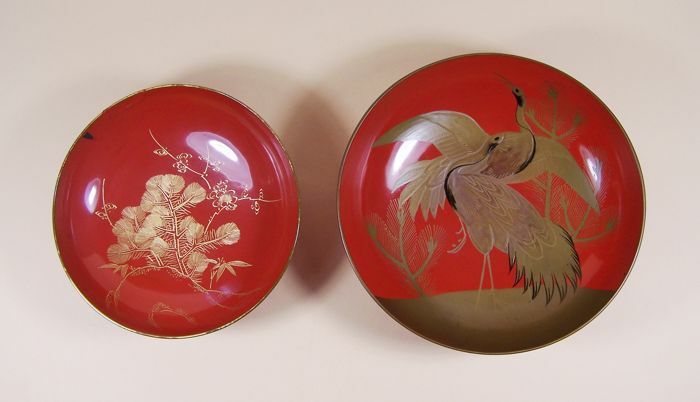 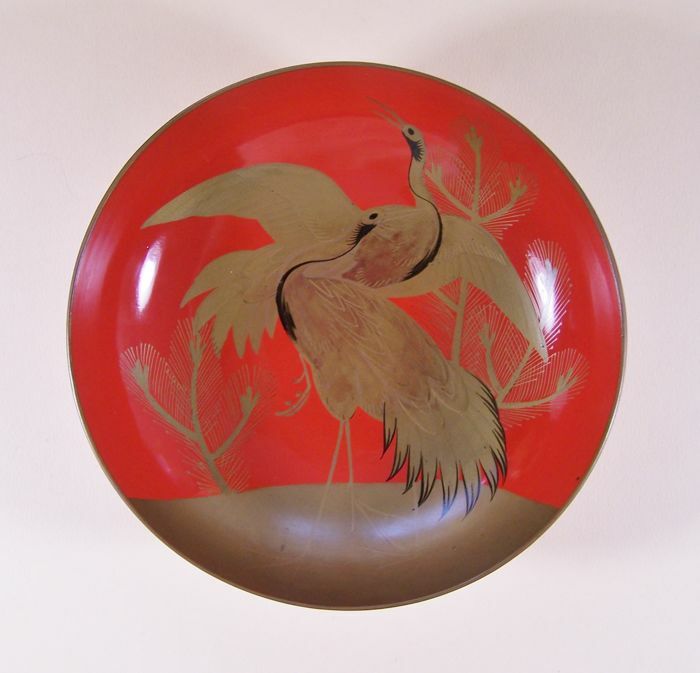 1) A Japanese red lacquer ware on wood ('urushi') drinking dish ('sakazuki'), Meiji/Taisho, ca 1910-1925, ca 17.3 cm. 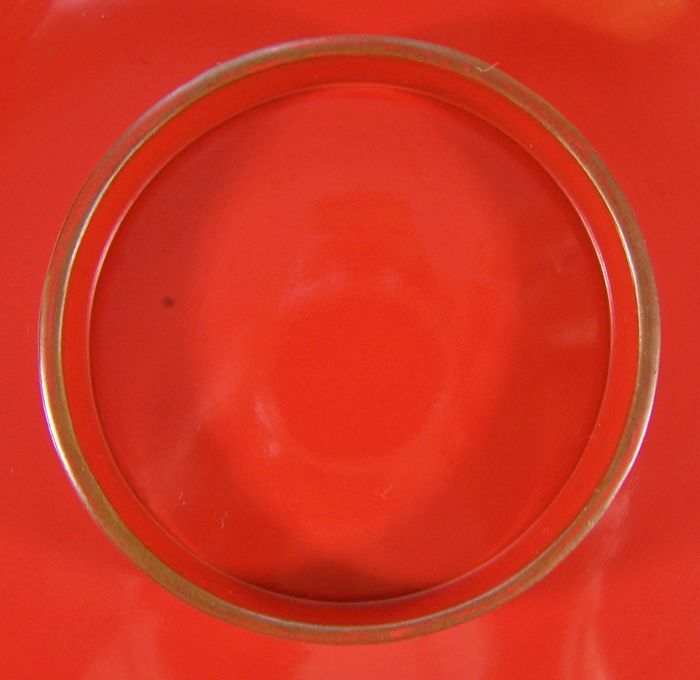 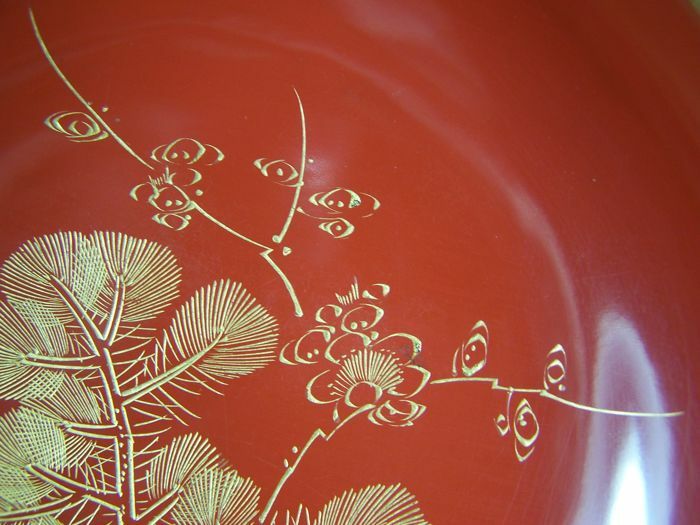 Ø, intended for drinking sake during the wedding ceremony, with a decoration in 'maki-e' technique' of a crane bird pair ('tsuru', symbol of marital fidelity) near pine trees in a landscape, minor wear. 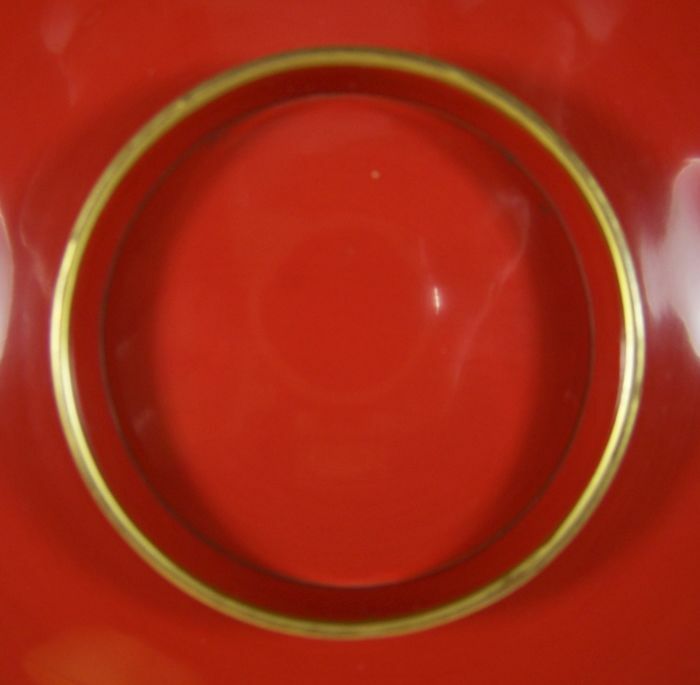 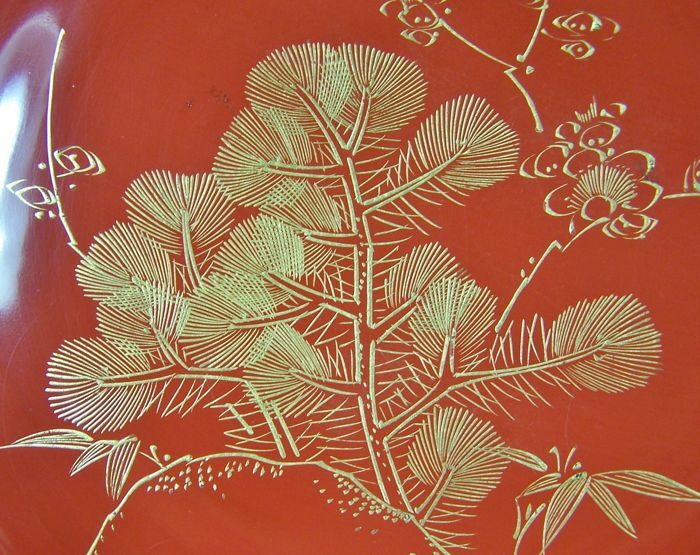 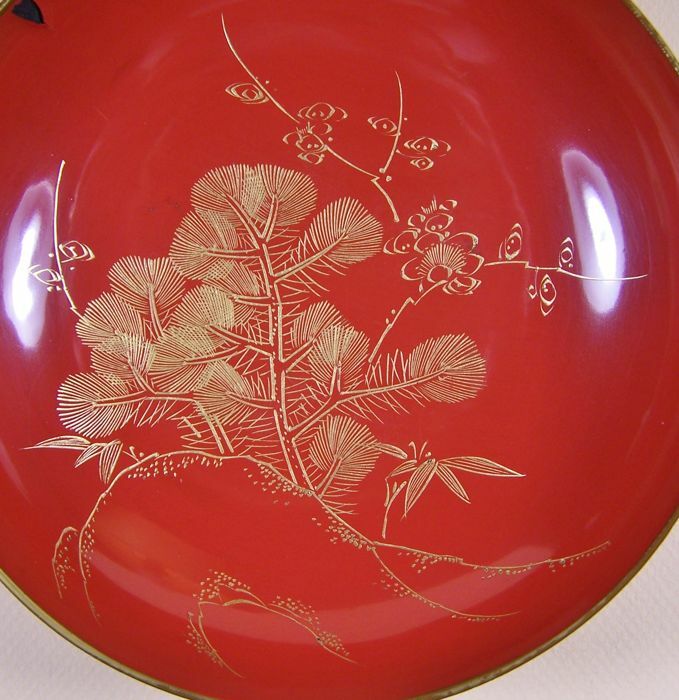 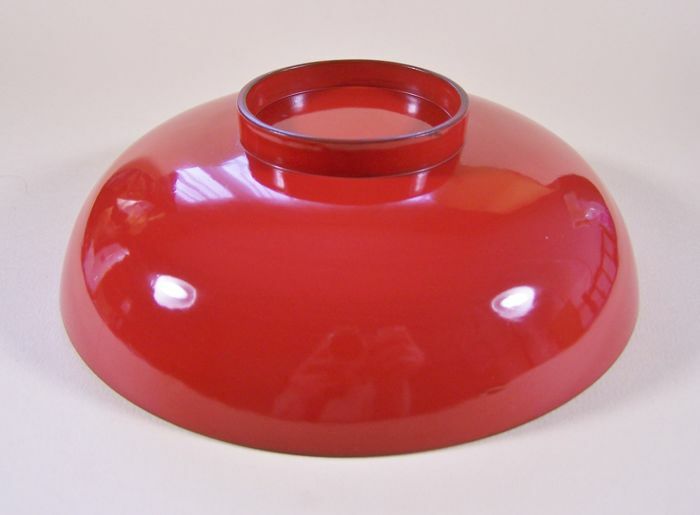 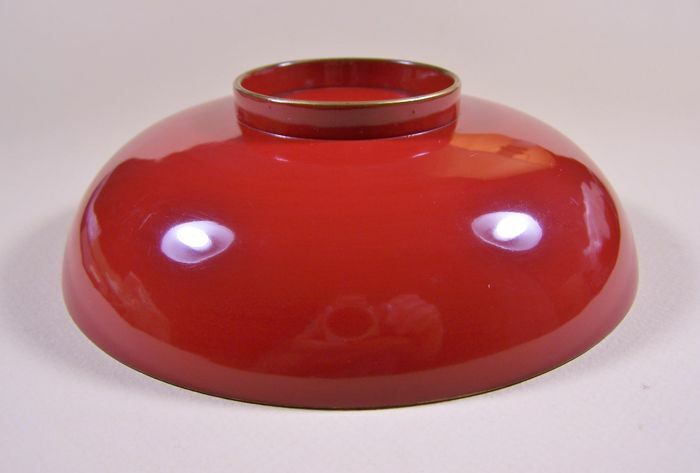 2) A Japanese red lacquer ware on wood ('urushi') drinking dish ('sakazuki') meant for the wedding ceremony, Meiji (1868-1912), ca 1900-1910, ca 14.7 cm. 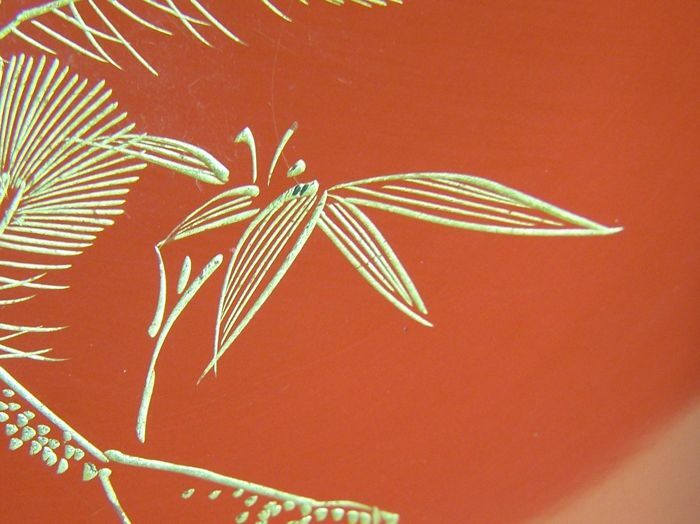 Ø, decorated in 'maki-e' technique with a rock covered with the so-called 'three friends of the winter': pine (Confusianism), bamboo (Buddhism) and prunus (Taoism), damage and repair to the lacquer.